Resizable is a responsive magazine / blogger template that works great on any resolution on desktop, mac or any mobile device. 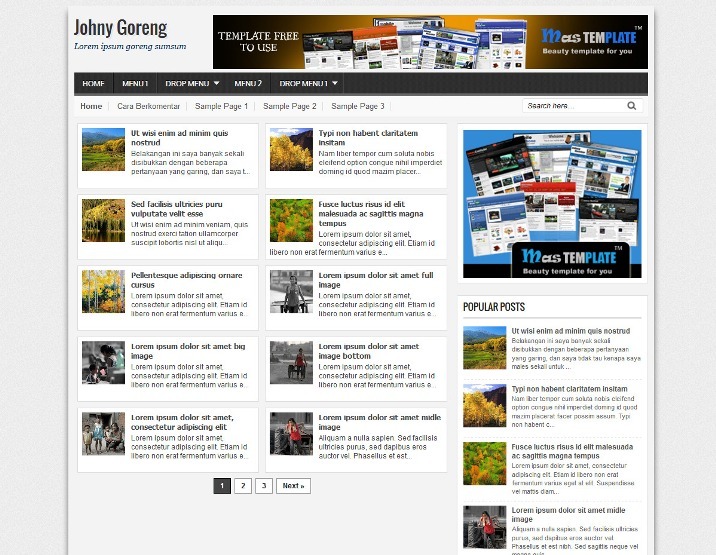 Johny Demosite is responsive blogger template from Creating Website, It’s a simple template blogger with a 4 column and 1 right sidebar. 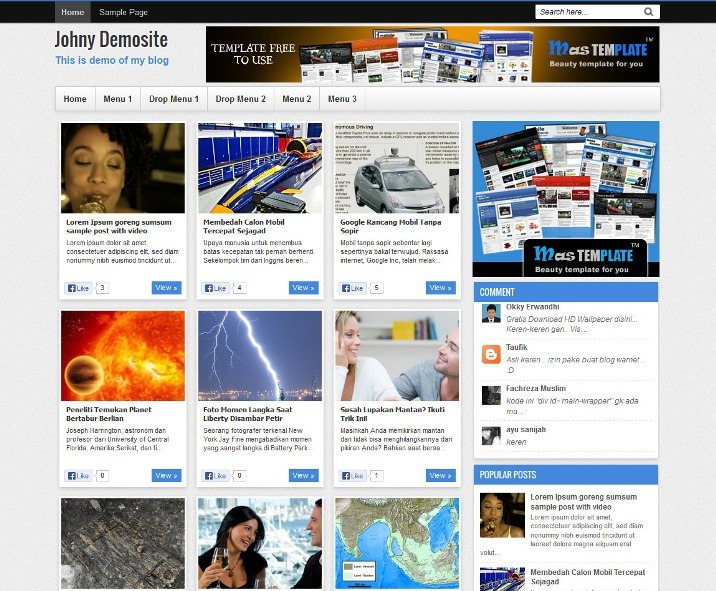 Tag H1 and H2 ready to more SEO and visitor friendly to your blog. You can use this template for your daily blog. 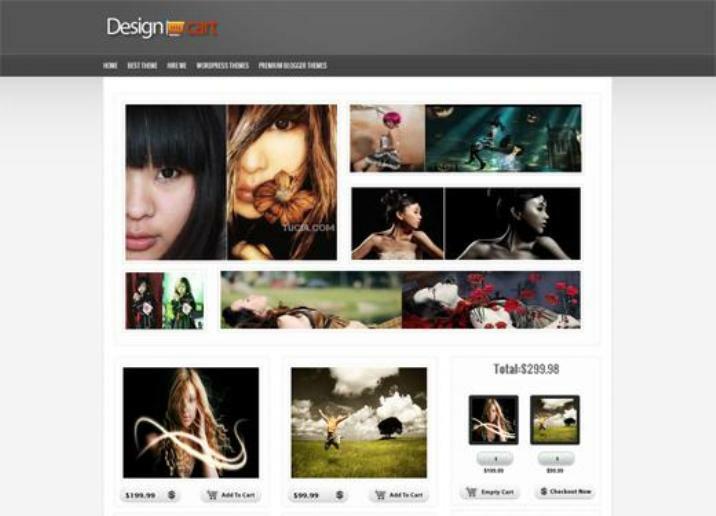 Design cart Blogger theme is a e-commerce theme that enables your site to get ready for blogger marketplace where you can sell your digital or physical goods. People can pay you via PayPal and you will send your digital material via mail of the buyer or ship your physical goods on the shipping address. 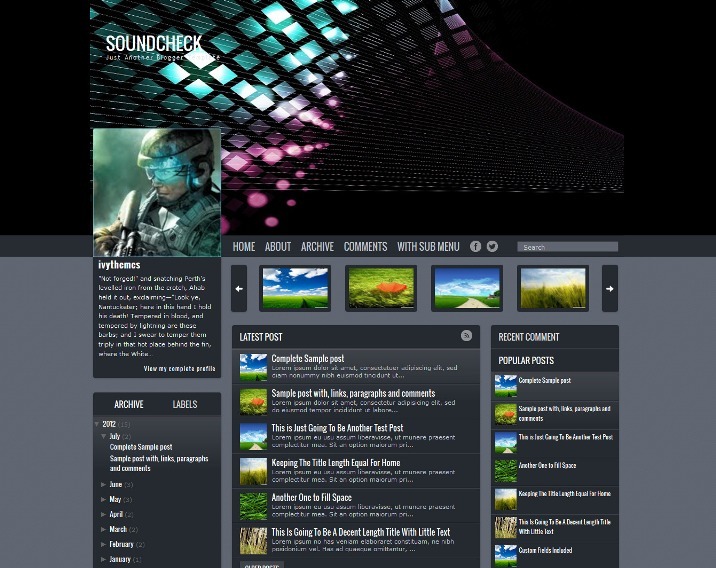 Soundcheck is 3 columns blogger template witj white and grey and with social media icon, right and left sidebar, slider, top navigation menu, custom search result, tab menu and slider menu on sidebar and more. 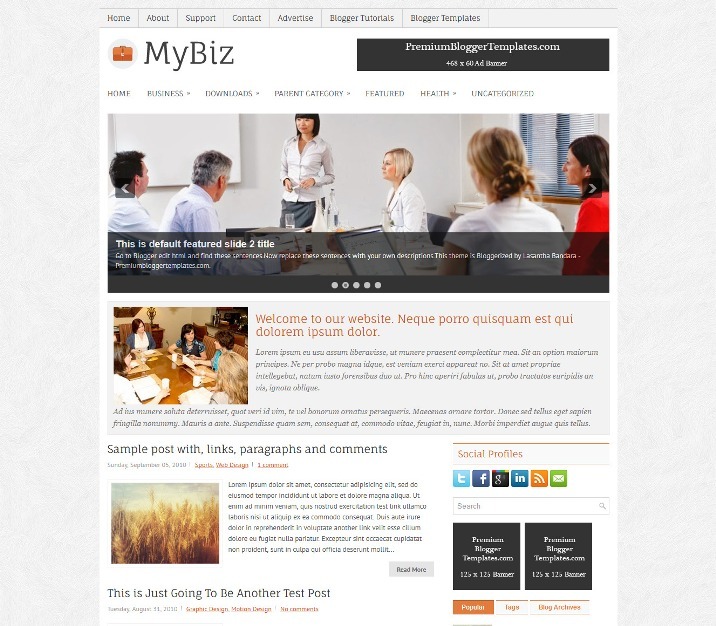 MyBiz is a Responsive, 2 Columns Blogger Template for Business Blogs. 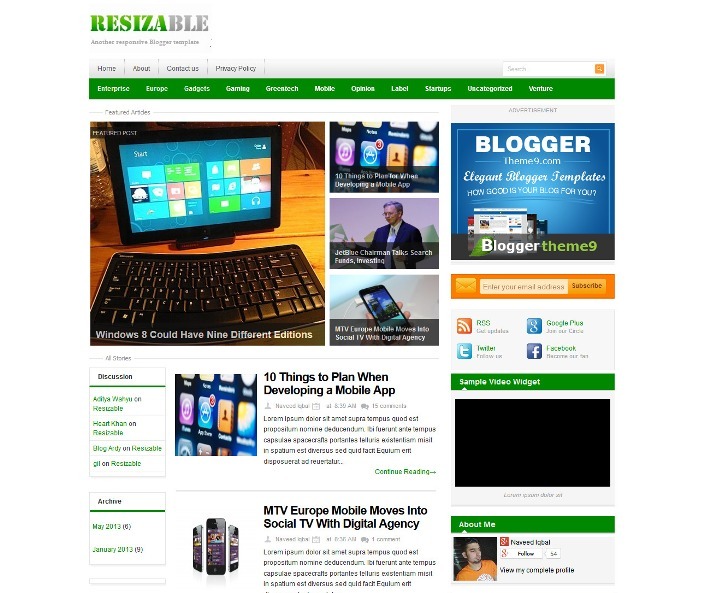 MyBiz Blogger Template has a jQuery Slider, Dropdown Menus, Slider, 468×60 Header Banner, Featured Section, 3 Columns Footer,Tabbed Widget Right Sidebar, and More Features. 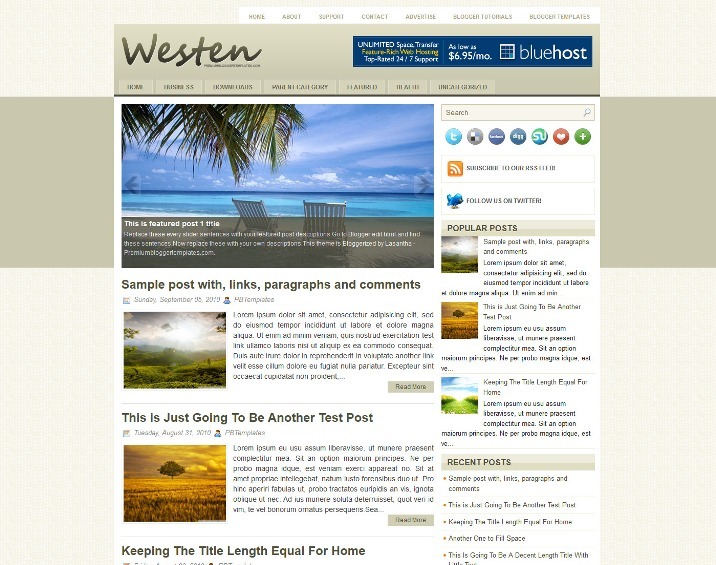 Westen is a free blogger template for magazine. 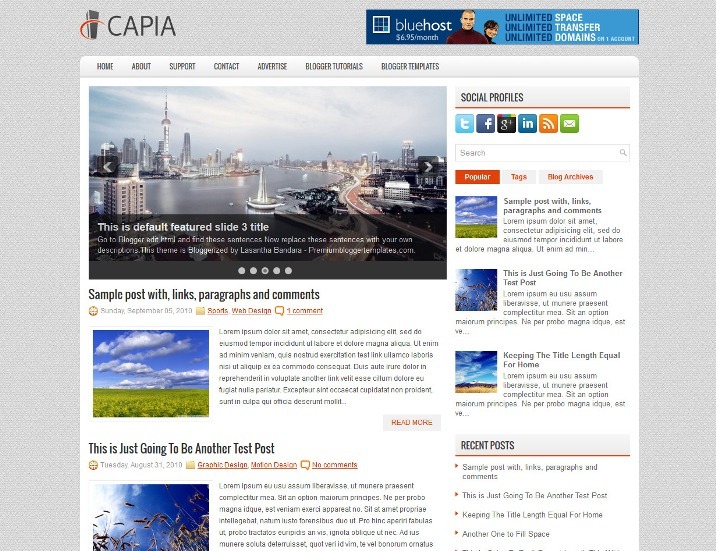 Template type : 1 Sidebar, 2 Column, Adapted from WordPress, Featured Section, Fixed width, Header Banner, Right Sidebar, Slider, Top Navigation Bar, Web 2.0, White. 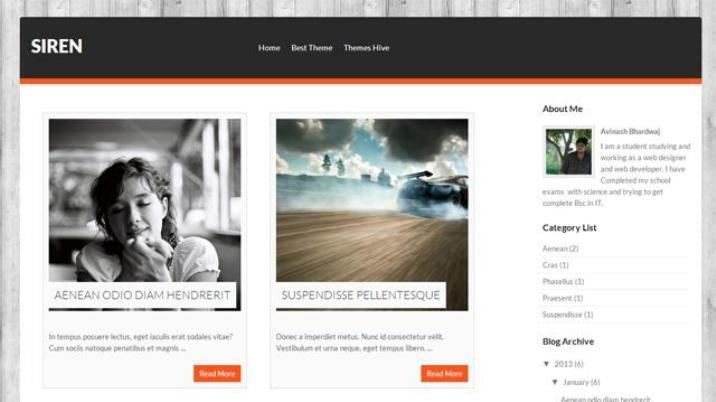 Siren Blogger Template is a xml blogger theme is a blog style post and have very nice use of intro. 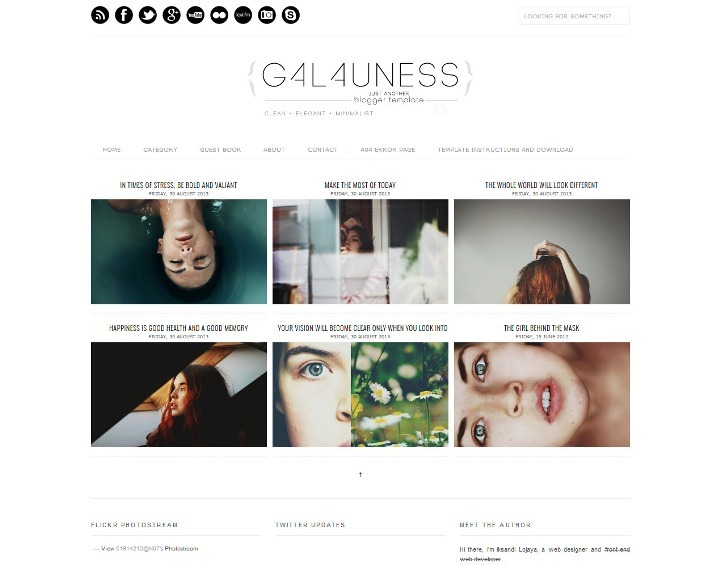 Galauness is free premium blogger template with Elegant, Clean and Minimalist Design, WordPress Look’ Neat Typography, Fixed Width, jQuery Post Slider, Unlimited Background, Top Navigation Menu, Template Designer Ready, 2 Main columns and 3 columns at Bottom, Custom 404 error page and Custom Lightbox, Beautiful related posts links and Social Links Button and more.